"Get going, Child," The Prophet commanded." "Why? Why do I have to get going?" The child asked. "But I like it here." "Then why do I have to leave? Why can't I stay here?" "Have you gone back to your 'can't,' Child?" "I just love being here on the lily pad, Prophet. I like to float, don't you?" The Prophet chuckled at the Child's evasion. "No, Child. I don't like floating. It's not healthy to float all the time. So, let's get going." The Child loved the lily pad––the peacefulness, the protection that it offered. "Will I ever see the lily pad again?" "Whether or not you continue. The lily pad comes when you need to rest." "And what happens if I want to remain here?" "It will sink, and you'll sink with it." "And you, Prophet? What will happen to you?" "I'll get going and move on Child." "You mean to get going." "Yes. I want to float the rest of the way." "Oh my dear Child, many have lost sight of their true essence by succumbing to complacency." "That's when you are satisfied to settle for something less." "So, do you want to get going or stay here?" The Child took one last look at the lily pad and stepped out on the water. "Well, Come on, Prophet, let's get going. Don't take all day!" The Prophet's eyes danced with anticipation as the waves of the ocean rose to block their way. Boy is complacency a loaded issue and SO easy to fall into! You are definitely correct that we have to keep going, but sometimes it takes all our energy just to do that. Great post. By the way, Thanks for stopping by to comment on my blog! You are GREAT!! Thank you my dear for commenting, and you're so right; complacency robs us of many good things when we fall into it. 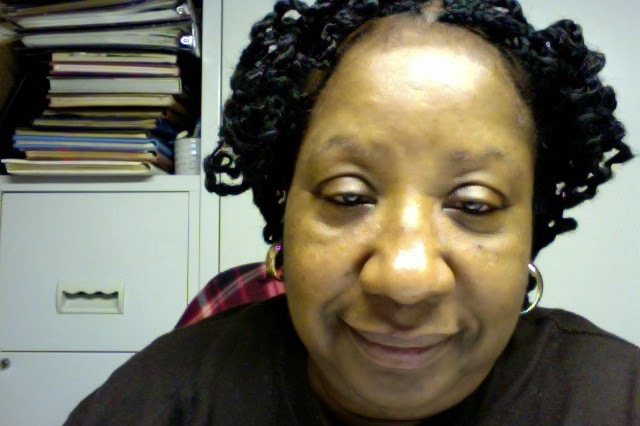 When I was caregiving for my mother I knew I had to get going or sink. I had to act when action was needed, think with the highest thought and step out onto that water, turbulent with high waves, one after the other, on all sides. I try to remember this experience now. For now that my mother is gone, I find it easy to become complacent on what I perceive to be some secure lily pad. Thank you, Patricia, once again. This child appreciates the gentle reminders of the wisdom of the Prophet. Never forget those important lessons that you learned as a caregiver for your mother. The waves are still there and they are waiting for you to step out on them. I know you can do it. 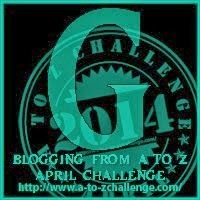 Stopping by from the A to Z Challenge. These stories are pretty good: short, lots of dialogue, and have a nice outcome. Do you plan on gathering them together at the end and maybe publishing them? Thank you for dropping by and thank you also for the appraisal of my writing ability. Yes, I do plan to do something with them, when I get an agent. Another great addition. I see a great book in the making Patricia! That is oil from my soul coming from you. Thank you for walking with me through this Challenge. Stopping by from A-to-Z to say hi. Isn't it so true--if we allow ourselves to get complacent and sit for too long we will sink. We have to get going. Thank you so much for dropping by and yes it is amazing how complacency can rob us of so many valuable things.